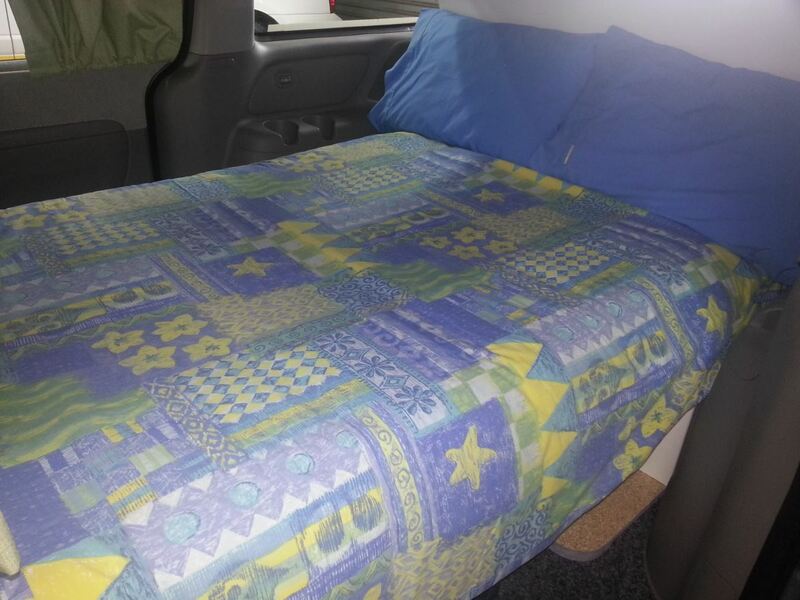 We don't encourage drink driving - but you can sleep in the vehicle if you've had too many! 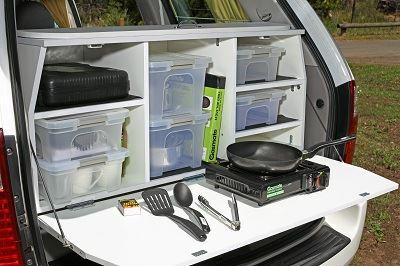 Your everyday car is also a camper wagon; camping amenities with security. 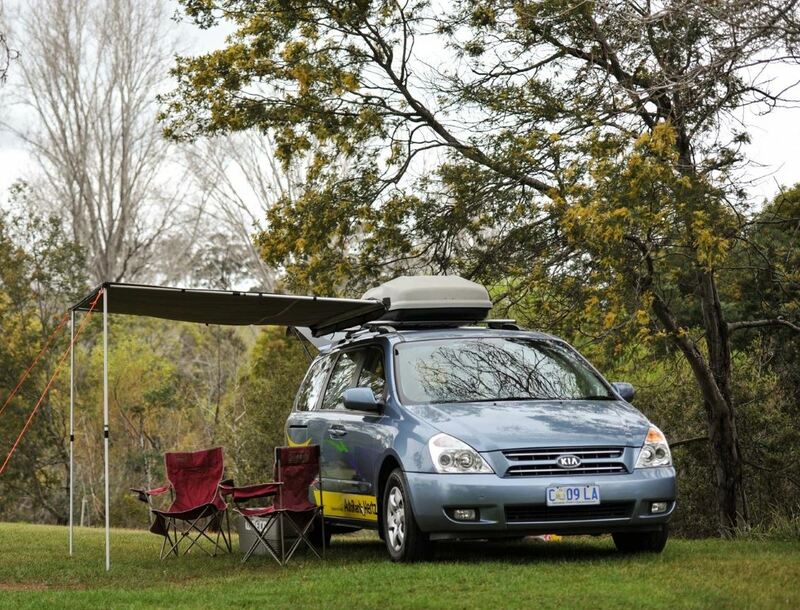 This camper is suitable for 2 adults wanting to tour Tasmania at an affordable price with a little adventure. Why not consider hiring a Mountain Bike with this vehicle, price and details on the booking page. This vehicle has limited kilometers (150 per day) and 25 cents per extra kilometer. Simple to drive, easy to park, with the same manoeuvrability as a traditional people-mover, this reliable, automatic camper provides a spacious and comfortable driving experience. You’ll cruise in comfort with power steering, 5-speed sports automatic transmission and cruise control, plus dual air conditioning. And, it also features a GPS navigation system - never be lost again! 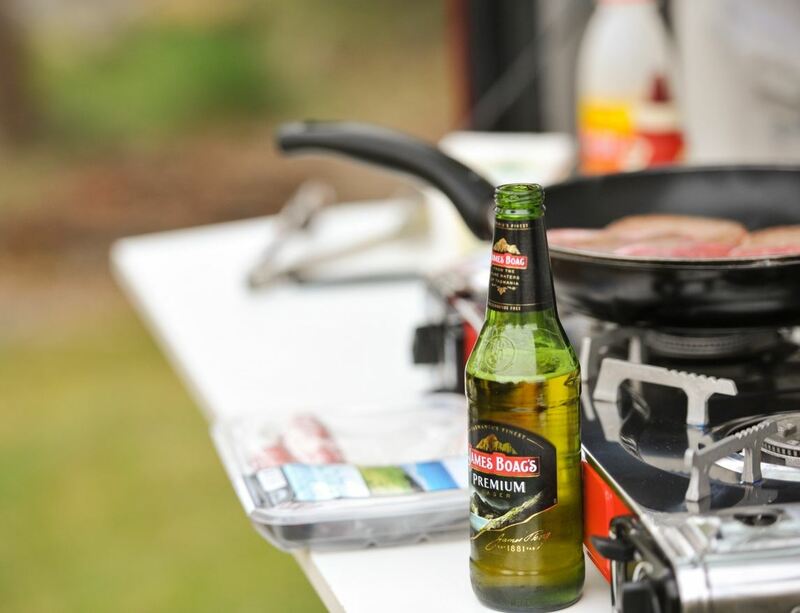 Add in the safety of 6 airbags and ABS brakes, and you’re well on the way to a great holiday. 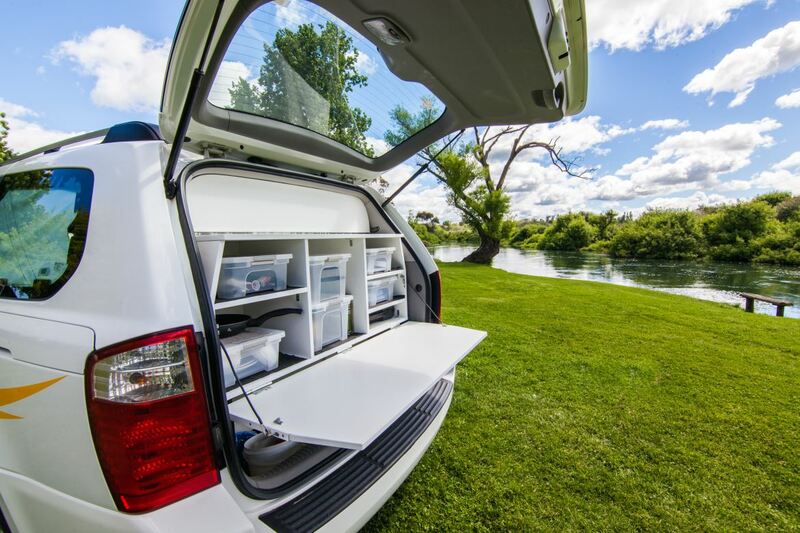 Sliding doors on both sides of the vehicles provide convenient, easy access, day or night and there’s a roof pod for extra storage and a side awning which you can hire for $7 per day (max cost $50). 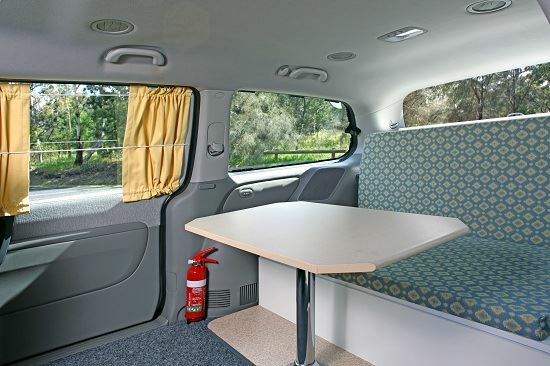 A camping ‘pod’ at the rear of the vehicle provides cooking and eating utensils and the living area is compact, with an airiness created by all-round windows: curtains provide privacy when needed. A 12 volt cooler (portable fridge) and portable DVD player add to your comfort and enjoyment. At the end of the day, the dining area converts for sleeping. By day, easy to drive, visiting all the attractions, yet simple to park; at night, money-saving convenience and an inexpensive way of life. This vehicle sleeps up to 2 adults; it has a low roof, so you’re unable to stand up inside, but you can stretch right out and there’s plenty of room to have fun. It’s best to bring soft bags because suitcases take up a lot of space.